Austinites hankering for a meal of fresh, seasonal Gulf fish and shrimp can finally forgo that laborious trip to the Texas coast. A charming, chic yet understated restaurant, Mongers Market + Kitchen showcases classic, simple seafood dishes, combined with a retail market highlighting freshly caught Texas Gulf shrimp and fish. Celebrated Austin restaurateur Chef Shane Stark’s menu includes a rotating selection of fresh oysters from the raw bar; Hamachi Crudo with espellette, Asian pear, Serrano and agave; the Crab Cake Sammy served with house-made fried green tomatoes and apple-jalapeño slaw; Fish + Grits, a seasonal filet, tomato vinaigrette and a perfectly soft egg; and the fresh Gulf Red Snapper served with spring peas, morels, chervil cream and a pea greens salad. 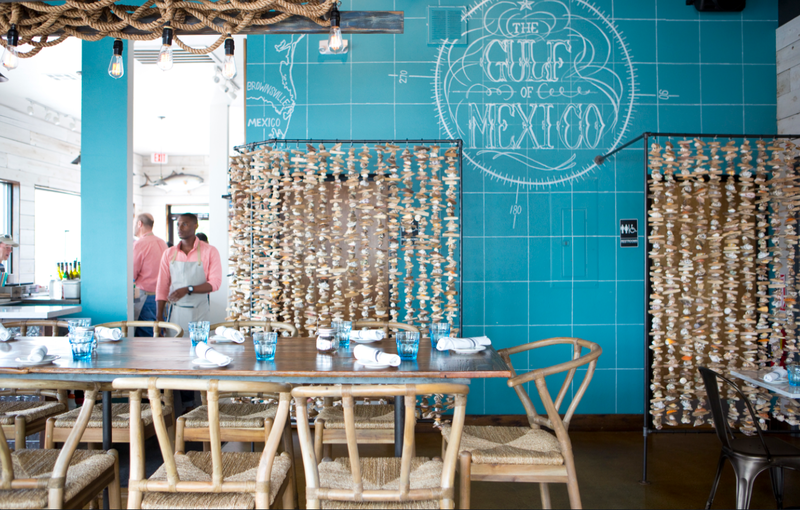 Located in Austin’s thriving Eastside, loyal diners relax in the warm sea blue setting, reminiscent of sunbaked afternoons beachside, designed by co-owner Julie Stark.